Yarm is mentioned in the Domesday Book of 1086; it is thought that its name is derived from Old Norse where yarum or from the Old English gearum, both words mean an enclosure to catch fish. The areas Friarage and Spital Bank preserve the memory of the Domninican Friars, often called Black Friars or Friar Preachers, who settled in Yarm about 1286 and maintained a Friarage and a Hospital in the town, until 1583. John Wesley, founder of Methodism and Tom Brown, hero in the Battle of Dettingen are also associated with the town. 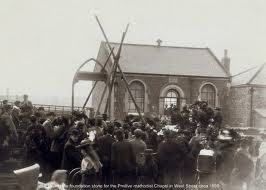 In 1822 the foundation stone for the primitive Baptist chapel was laid, the building was completed in 1831. In 1897 the Main Hall was added followed by the middle hall which joins the two halls together. 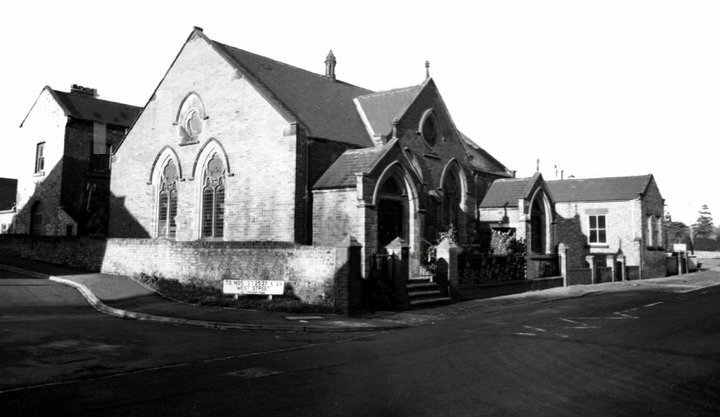 This became a Methodist Church until it was sold to Yarm Parish Church in the early sixties. The hall was used as the parish hall until it was sold to the Emmanuel Fellowship Church in 1976. Twenty years later Yarm Town Council purchased the hall. Once a charitable trust was set up in July 1999 to run the hall, the trustees decided to call it Yarm Fellowship hall, as it had always been a community building concerned with Fellowship. It is said that people have been sent running from the building on many occasions after they have seen the ghost of a monk or a hooded man has been seen in the room upstairs. Shadows have been seen passing the interior windows also children have been heard playing and even tugging on people clothes. A man is reported to have been seen standing in the corner of the back room only for him to disappear the moment you turn to get a proper look footsteps are often heard coming from different parts of the building.